Rob was born in Japan, grew up in America and Hong Kong, and has a warm, natural baritone with a passion for accents and characterization. 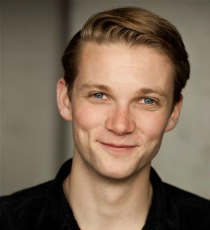 An actor trained at the Guildhall School of Music and Drama, since graduating Rob played the lead in the West End revival of Another Country, and played in Comus at Shakespeare’s Globe; he has acted in Film and TV including Game of Thrones, Sherlock, and Endeavour. A highly experienced reader and extremely confident with technical language.